This kind of gross false equivalence is how fascism and white nationalism are normalized. 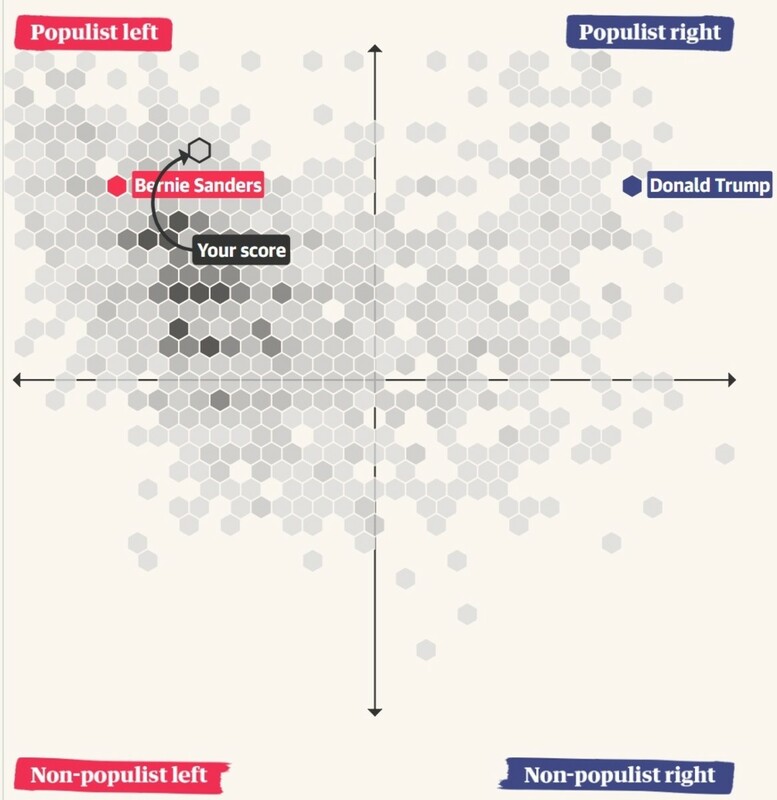 Just for fun, I spent a few minutes taking The Guardian&apos;s "How Populist Are You?" quiz. 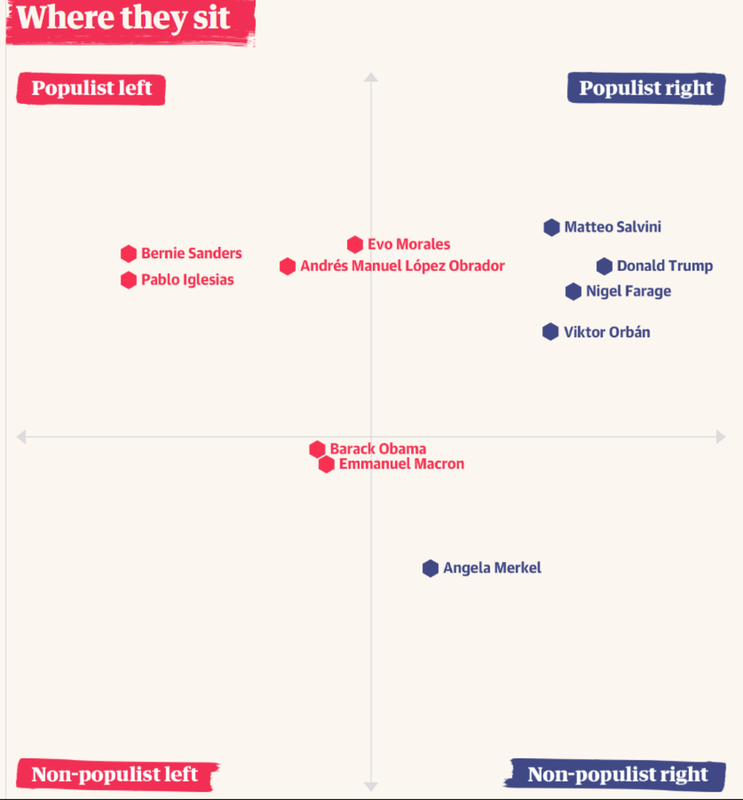 The first image is of several world leaders and populist politicians including Angela Merkel, Barack Obama, Bernie Sanders, and Donald Trump scattered on a chart of how populist they are and how far to the left and right they are. 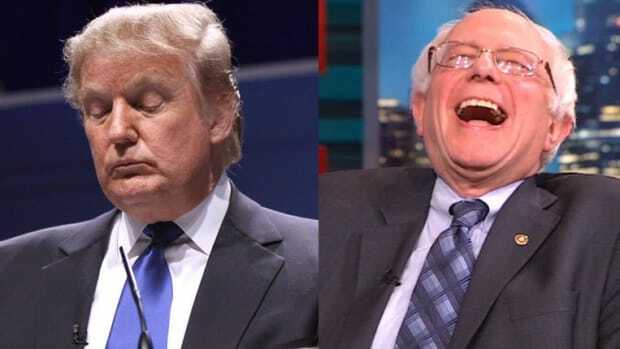 Putting aside the unlikelihood that I am more of a populist than Bernie Sanders and Trump, with the other names removed, it jumped out at me that I was supposed to consider Bernie Sanders and Donald Trump as mirror images on the political spectrum. 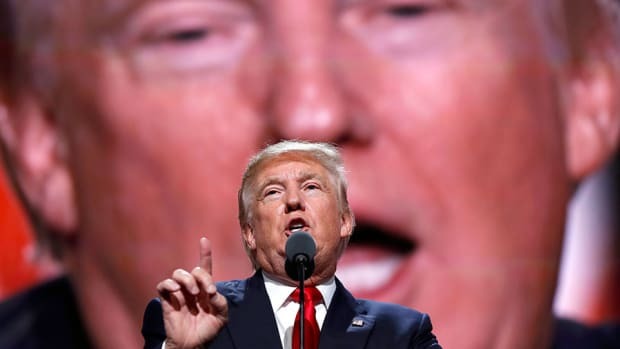 Donald Trump regularly spews an ideology of white nationalism and authoritarianism. 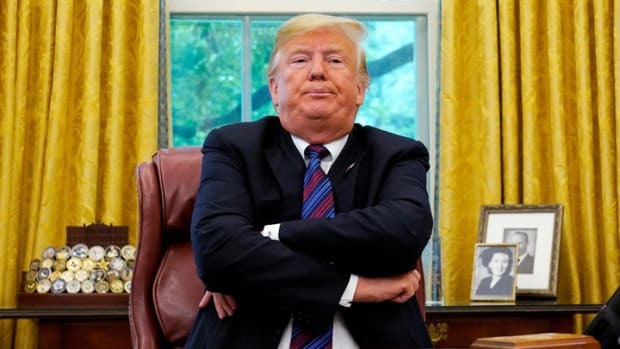 He talks about suppressing free speech, controlling the free press, shooting women and children seeking asylum at the border, locking up political enemies by way of a Department of Justice that works for him personally, banning Muslims, ending the separation of Church and State, etc. etc. etc. 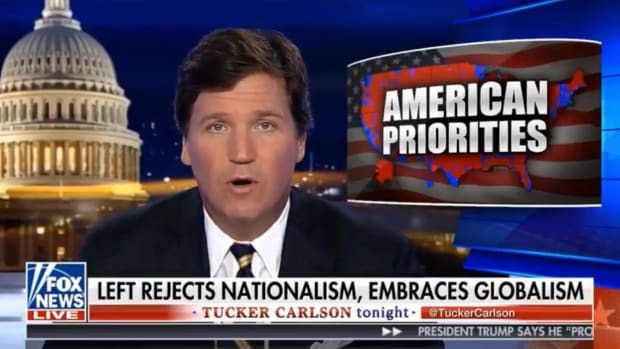 It doesn&apos;t get much further to the right short of openly calling for the extermination of the mongrel races and running America according to the Bible. And to find that, you simply have to look at Trump&apos;s base and the Republican Party. 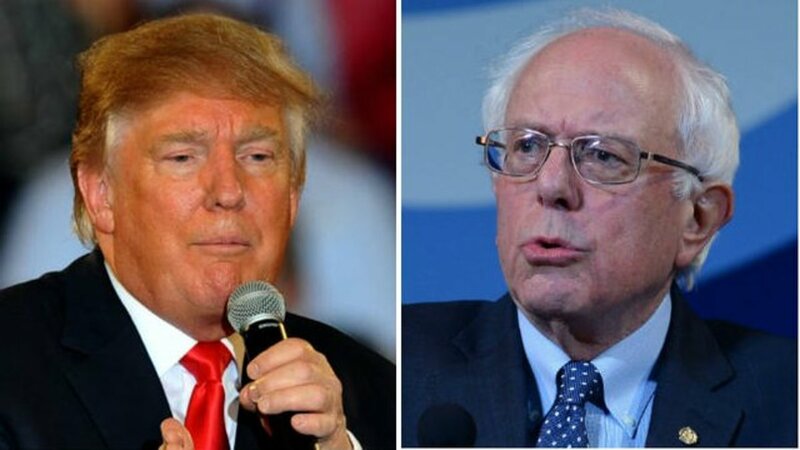 On the other hand, Bernie Sanders wants to break up the big banks but not nationalize them. He wants to make college free but not to have the federal government run them. He wants to tax corporations but he doesn&apos;t want to make them all public property. Yes, he wants Medicare For All but no one in the right mind would consider government-run healthcare the flipside of fascism. It doesn&apos;t if you love him or hate him, the fact is that Bernie Sanders is a socialist and that&apos;s a long way from the left edge of the political spectrum (otherwise known as Communism). Yet, looking at the Guardian&apos;s graph, you&apos;d be left with the impression that Trump and Bernie are just as extreme as the other. American media outlets have been doing this for literally years. It&apos;s inexcusable but understandable. Our politics are so badly distorted by the press&apos; right-wing bias that anyone to the left seems like a radical. But The Guardian is a British website and Bernie&apos;s politics are firmly in the mainstream of the UK, Brexit or no. The problem here isn&apos;t just that Bernie is made to look extreme (although that is a problem), the main issue is that, like all false equivalencies, it provides legitimacy and cover to one side. And in America, that always magically seems to be the right. No matter how far off the rails they go, a simple "both sides are the same" graph can instantly make their behavior allowable. After all, we can&apos;t condemn one side if the other is just as radical and extreme, can we? That wouldn&apos;t be fair! Of course, when pressed to explain how Medicare For All and free college is as extreme as repealing birthright citizenship, don&apos;t expect a coherent answer. Or any answer at all. 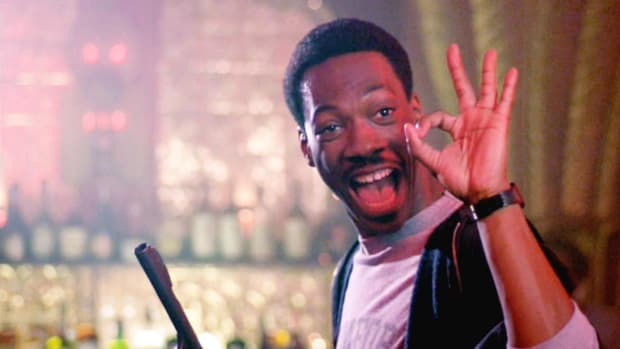 Bothersiderism doesn&apos;t actually hold up under scrutiny. It&apos;s just smoke and mirrors used to avoid having to talk about just how dangerous the right has become and when Bernie and Trump are gone, the press will simply find another "radical" on the left to compare to whichever white nationalist fascist rises to replace Trump and the media&apos;s hustle will continue without missing a beat.